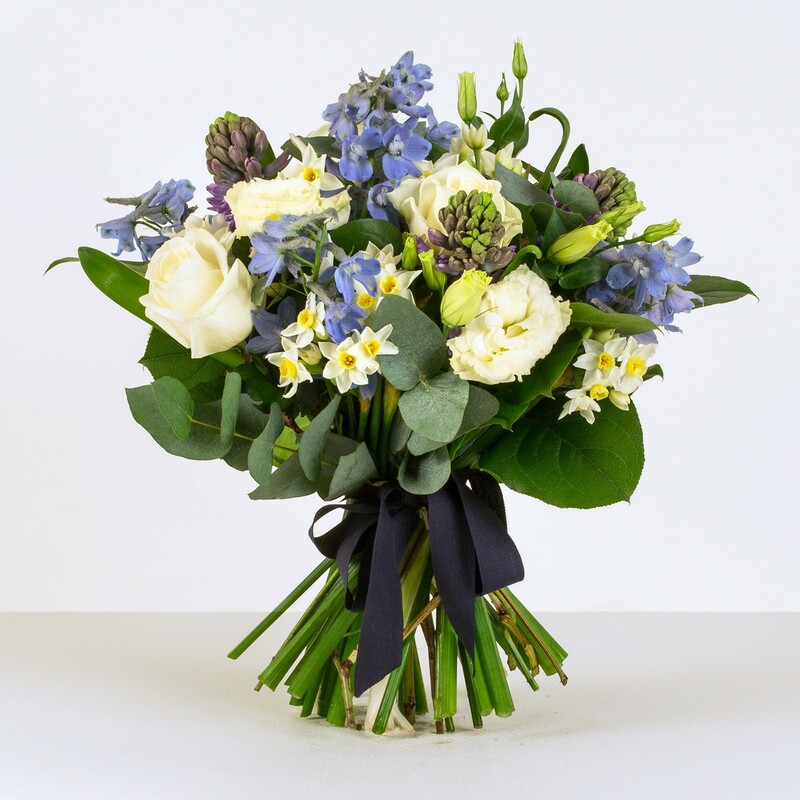 Give the gift of a meadow day to the one you love with this beautiful and vibrant bouquet, which aims to capture the charm of a fresh meadow. We have combined subtle yellows with soft lavender-blue to create an arrangement that sings with the promise of warmer days. Elegant cream roses stand out with their classic style, while a sunshine-brightness is added thanks to the cheerful heads of star-shaped narcissi. The pale blue veronica is a delightful touch, while tanacetum, also known as tansies, bring the whimsy of the season to life.